Daniel Bercovici is the IFIF Chairman and Executive Officer of Ajinomoto Co., Inc., Japan and President of Ajinomoto Eurolysine S.A.S. Dr. Bercovici previously served as Chair of IFIF’s Sustainability Steering Group and as Chair of IFIF’s feed safety Capacity Development Programme in Africa, as well as a Member of the IFIF Board of Directors since 2008. He has more than three decades of diverse executive experience the Ajinomoto Group including in Brazil, Europe, Mexico and North America and will bring his longstanding experience both with IFIF as well as international feed industry matters to the role of IFIF Chairman. 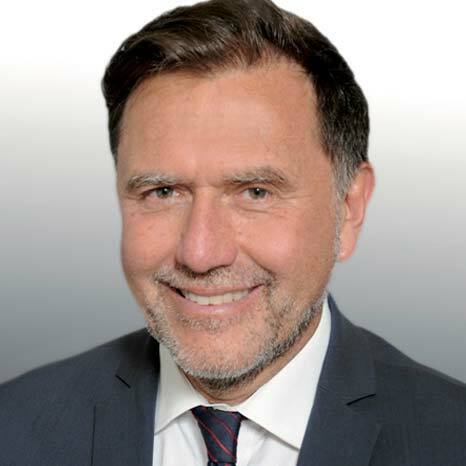 Dr. Bercovici was appointed President of Ajinomoto Eurolysine S.A.S, the regional business operation in charge of Production and Sales & Marketing of Feed-grade amino acids in the EMEA region, in 2014. He joined the Ajinomoto group in 1987 where he worked in research, marketing, and business direction in Brazil, Mexico and North America. In addition to his close involvement and leadership at IFIF, he has been an active member throughout his career in in a number of feed related associations in Europe, Latin America, and the USA. French, born and raised in the South of France, he started his career as Biochemist, PhD in 1985, followed by post-doctoral research work in Sao Paulo, Brazil, with several publications on amino acids biochemistry and nutrition.